"Our stay at Pridi was very good." Have a question for Pridi Hostel? 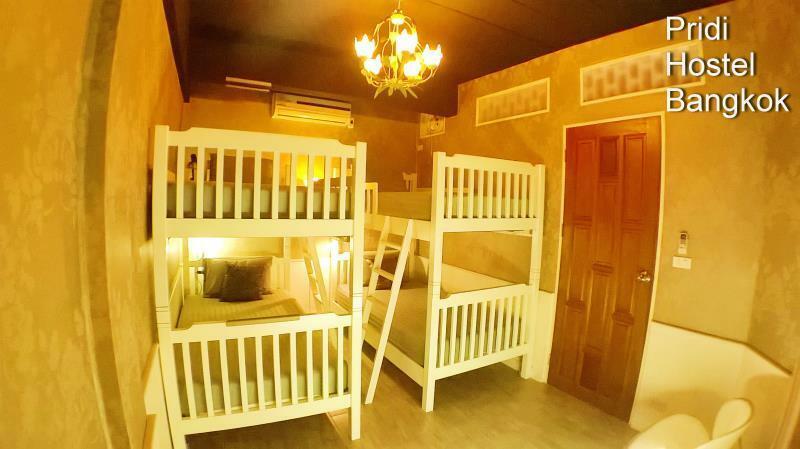 Situated in Sukhumvit, Pridi Hostel is the perfect place to experience Bangkok and its surroundings. From here, guests can enjoy easy access to all that the lively city has to offer. Visitors to the hotel can take pleasure in touring the city's top attractions: Embassy of Bangladesh, Embassy of the Federal Republic of Nigeria, Klong Tan Pier. At Pridi Hostel, every effort is made to make guests feel comfortable. To do so, the hotel provides the best in services and amenities. Top features of the hotel include free Wi-Fi in all rooms, convenience store, daily housekeeping, portable wi-fi rental, postal service. 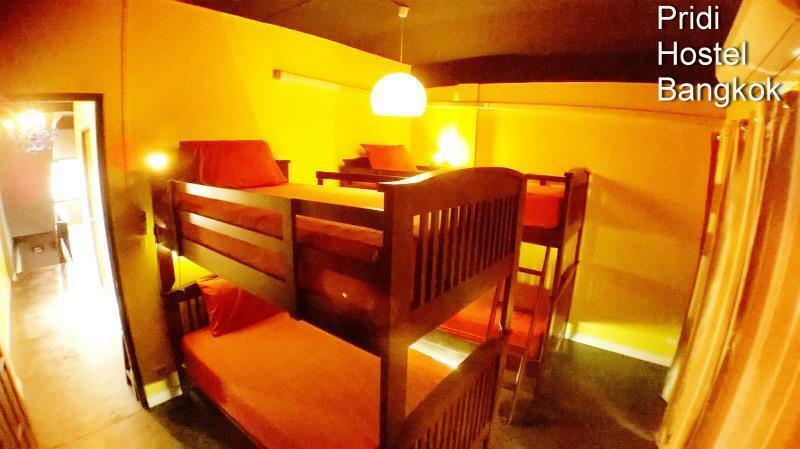 The ambiance of Pridi Hostel is reflected in every guestroom. television LCD/plasma screen, internet access – wireless, internet access – wireless (complimentary), non smoking rooms, air conditioning are just some of the facilities that can be found throughout the property. Throughout the day you can enjoy the relaxing atmosphere of the garden. 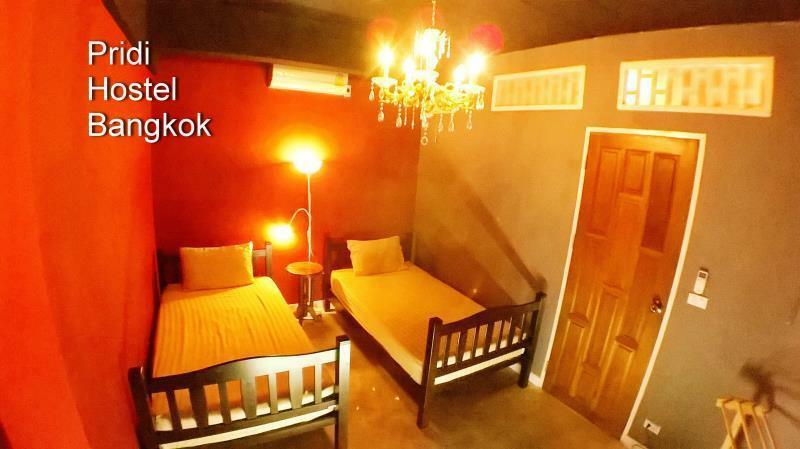 Pridi Hostel is an ideal place of stay for travelers seeking charm, comfort and convenience in Bangkok. 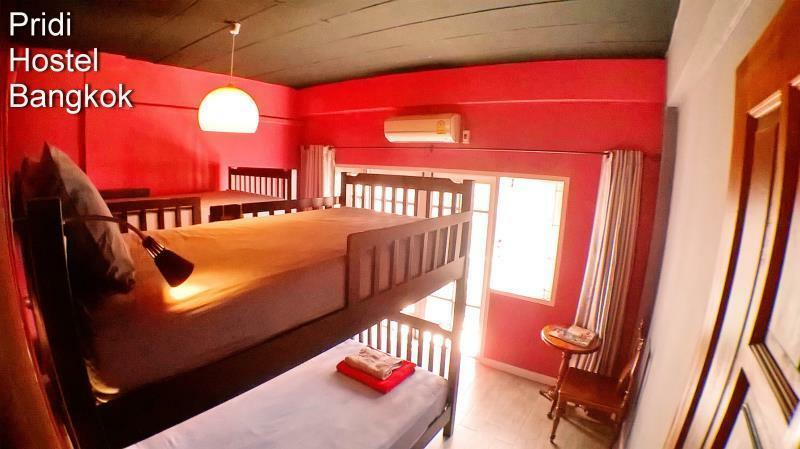 "I would definitely recommend this hostel!" Our stay at Pridi was very good. The four person private room was snug, but clean and cool. The location was not so close to the top sights, but we stayed here out last two nights before flying out, and it was much closer to the airport than many other locations. It is near lots of great spots for eating delicious street food and also pretty close to the sky train. There are also a good number of keraoke bars around and it is not touristy but close to two neighborhoods where Thais hang out. The staff at Pridi were very helpful and fluent in English. I would definitely recommend this hostel! The decoration of the hostel is very nice very cozy. The stuff is very friendly. Room is clean and tidy. Value for money. Location also very good. Only downside is that portion of breakfast is too small. I had one night at the Pridi Hostel and was greeted via email with fantastic directions on getting there and plenty of assistance once I arrived. The location is close enough to catch a cheap bus 10 mins to the BTS, and is right near a 7 Eleven, noodle shops and a post office. The staff are very friendly and helpful and provided great advice on nearby places of interest and transport. The hostel itself was very clean and beautifully decorated. I will definitely return. One night before we left to the gulf islands. It is near the airport link BTS station. We will repeat when we go to Bangkok to take the plane to home. it is a very warm place to stay, the hosts are very nice and suggest us where can we go(as we had planned nothing for the trip), and nearby, there is a skytrain station and some shops where you can find typical food which thai have in their daily life, you can feel thailand in a different way.